Join us now and your ideas will become a reality. 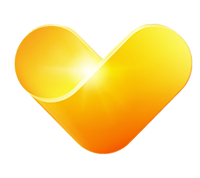 Thomas Cook has a leaner, flatter management structure than many big companies. This means that those with creative business ideas are listened to at the highest level and will have the opportunity to make a real impact. We’re certainly not afraid of trying new things here. On the contrary, new ideas are nurtured, developed, and implemented rapidly across the group. We take real care of our leaders and invest in their personal and professional development. With the support of executive coaches, bespoke training and sponsorship programmes you will have the support to deliver great things for your teams and our customers. Receive emails by subscribing to jobs matching Leadership when they are posted. The 5 most recent jobs posted by Thomas Cook are listed below for your convenience.